Before he became a Special Forces Engineer and Weapons Sergeant and served in Afghanistan, Iraq and Africa, Doug Kiesewetter was a college dropout whose primary motivation was drinking as much beer as possible and working on his Jeep. A tour of duty as a roughneck in the oil fields of Texas pointed him in a new direction. Still a Green Beret today, Doug is also the content director of SOFLETE, one of the most innovative and reality-based companies in the tactical fitness and human performance space with some of the most interesting content. If you dig it, please take a moment to rate it, leave a review, hit subscribe and share with a friend. I enjoy getting to talk to Doug, because he has lived a colorful life, to put it mildly, and knows how to tell a story. In this episode we talk about failure, both self-induced and otherwise, perseverance and pro tips for how to order food when your boss offers to buy you breakfast. You’re not going to want to miss that last anecdote. You can find Doug on Instagram @dougtheelephantslayer and follow Soflete @sofletehq and https://soflete.com. The Beastie Boys, Spike Jonze, Doug Aitken, Public Enemy, Soundgarden, a Tribe Called Quest, the Matrix, Man of Steel, 300, Nike & Converse are but a few of the artists, films & companies who have leveraged the creative talents of Eric Matthies. In this conversation, we discuss his path from a Chicago skate punk with a camera who shot videos for bands like Nine Inch Nails to the exceptional documentary film work he has created with his wife and collaborator, Tricia Todd, including The End of Truth, a doc about ISIS kidnappings in Syria and Killing the Messenger, a film about the global epidemic of journalist murders. 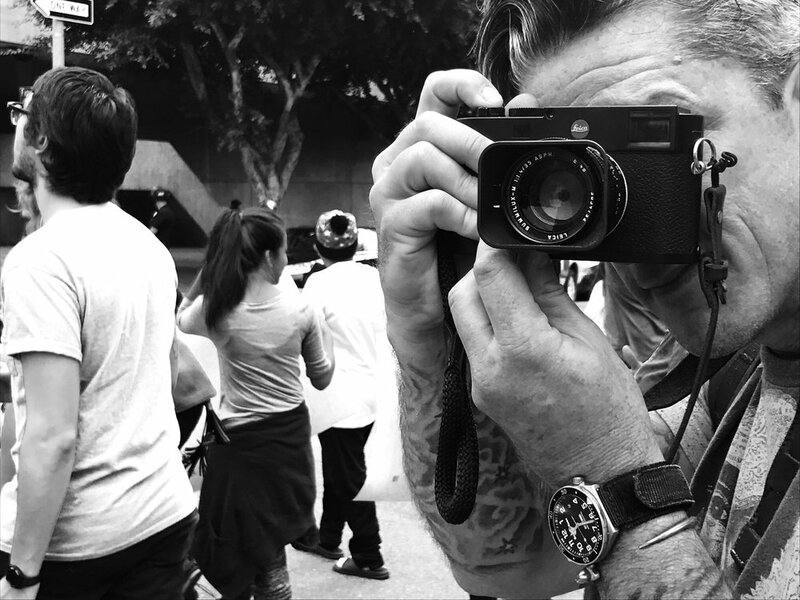 Eric is a polymath with formidable talent as a director, producer, writer, poet and photographer. In addition to film, Eric has worked as a director and producer across a number of genres including site-based VR, world-building R&D and live events. You can learn more about Eric on his website, www.ericmatthies.me and on his Tumblr and connect with him (maybe) on Vero. Check out his doc work with Tricia Todd including End of Truth, Killing The Messenger:The Deadly Cost of News, and Agile Mobile Hostile: A Year With Andre Williams. Eric and I first met through our passion for cycling and journalism that saw us mashed up in the birth of urban cycling culture in Los Angeles long before MASH was a brand or Red Hook was a crit. We were out rolling with Midnight Ridazz from the first few rides and saw it grow from a dozen people to thousands hitting the streets of LA on a Friday night. Simultaneously, I was involved in the cutthroat world of Cat. 4 crit racing in LA rolling on a stacked VeloWorx squad stacked with talent like Mark-Paul Gosselaar of Saved by the Bell and later NYPD Blue fame--one of the fiercest and most focused competitors I’ve ever ridden with--and a heavy-hitting entertainment attorney who would go onto rep both George Hincapie and Michael Jackson’s estate. These were wild times and the world didn’t know it, but a bike revolution was kicking off on the streets and office parks of LA. That led us to create a TV pilot about cycling culture in Los Angeles in the early 2000’s that encompassed everything from fixed gear culture to criterium racing and bike activism. We were onto something big, but about a decade too soon. The show didn’t get picked up, but a friendship and creative partnership was born that keeps on trucking. I have deep respect for Eric and what he and his partner, Tricia Todd, have done as artists and people. I am honored to be able to count him among my closest friends and most trusted advisors and I’m excited to share this interview with you. Thanks so much for taking time to listen to Choose the Hard Way. If you enjoy the show, PLEASE hit the subscribe button and rate the show. Then share this episode with a friend who you think might dig it. It makes a huge difference, it only takes 30 seconds, and it really means a lot to me. I’ll be back with another great guest soon. In the meantime, you can reach out @hardwaypod on Twitter or Instagram or just drop an email to choosethehardway@gmail.com. The award-winning literary activist, educator, actress, poet, author and the founder and executive director of Get Lit-Words Ignite on how she brought classic poetry to the street and street poetry to the classroom to start a literary revolution for teens that’s changing lives and reaching hundreds of millions on YouTube. Diane Luby Lane is an award-winning literary activist, educator, actress, poet, author and the founder and executive director of Get Lit–Words Ignite, an LA-based arts education nonprofit that brings classic poetry to the street and street poetry into the classrooms to empower new generations in literature, self-expression and performing arts. By engaging teens in great works of literature, in-school and beyond, teens engage in their own futures and unearth their potential. In 2012 Lane created the now annual Classic Slam, the largest youth classic poetry festival in the nation. Lane’s Lit Kit, a standards based, in-school curriculum, has been adopted by schools throughout the U.S. and internationally. But that’s just part of her story. She is an actress with numerous commercial, TV and film credits and the author of the award-winning Get Lit Rising, published by Simon & Schuster and Words of Women, published by Samuel French. She is also the co-writer and co-producer of DANTE, an original adaptation of Dante’s Inferno, which stars Get Lit Poets. She was the playwright and star of the one-woman show Deep Sea Diving which she toured with Chicano poet and author Jimmy Santiago Baca. Diane is a TedX speaker, a graduate of the Annenberg Foundation’s Alchemy + Leadership Program, a Southern California Leadership Network Fellow and served on L.A. Mayor Eric Garcetti’s Poet Laureate Committee and she is a recipient of the Presidential Lifetime Volunteer Service Award. Diane has changed the lives of hundreds of thousand of kids and reached hundreds of millions more through the power of poetry and storytelling. The biggest things that jumped out to me in our conversation were Diane’s total lack of fear of failure, her refusal to be complacent when things have been going well in her life and her willingness to follow her gut and keep trying things that seemed impossible. Progress is not a linear path and success is rarely what it seems. As you’ll hear, sometimes it even involves being a modeling talent scout in a Florida shopping mall. What Diane has done with Get Lit is hugely impressive. But as I learned from her, its success was anything but a foregone conclusion and it has its origins in thousands of hours of hard work and knocking on doors until she overcame the skepticism she encountered and someone gave her a chance to get the program started. Learn more about Diane at www.dianelubylane.com and find her on Instagram and Twitter @dianelubylane. For more info on Get Lit, visit www.getlit.org and follow them on Instagram and Twitter @getlitpoet. Pete Holman is a physical therapist, strength & conditioning expert, entrepreneur, inventor, author, and renaissance man based in Aspen, Colorado. Pete is a former TaeKwon-Do US national team captain and TaeKwon-Do National Champion. As a physical therapist, educator and strength & conditioning expert, Pete has worked with tens of thousands of coaches, trainers and athletes around the world ranging from everyday people to professional athletes and special operators. Pete is the inventor of two widely used pieces of fitness equipment, the TRX Rip Trainer and Nautilus Glute Drive. Pete and I have known each other for a decade and first met at the fitness company TRX where I was the head of content and Pete was often in front of the camera or leading training seminars around the world. Writing is hard. Writing a novel is really hard. Without any previous writing experience, Pete started writing fiction for fun a few years ago while bored on a long haul flight. In a discipline most people never start and many stop, Pete just kept going and he recently completed his first novel, Cruz, about an illegal immigrant working as a professional cyclist. In this interview, we talk about how Pete went from a lost metalhead hanging out with the wrong crowd in high school to a world-class martial artist, his propensity to continually take risks, focus, preparation for high level competition, motivation, mindset, parenting, loss, the entrepreneurial mindset and overcoming inertia to take big risks and keep going. Follow him @peteholman1 on Twitter and Instagram. Thanks for listening and I’ll be back with another great guest soon. If you have a question, comment or are interested in having me come speak to your business or organization, please reach out @hardwaypod on Twitter or Instagram or just drop an email to choosethehardway@gmail.com. Bank Robber, YouTube Star, Entrepreneur, Author, Motivational Speaker, former Adult Film Star. Get this episode now on: iTunes, Stitcher, Google Play and Spotify. Please subscribe and leave a rating! A rare moment of rest for the YouTube sensation, Big Herc. Growing up in Sacramento, CA, Marcus ‘Big Herc’ Timmons was a straight-A student and talented athlete before he took a wrong turn into gang life, drug dealing and violence. He spent most of his teens incarcerated the California Youth Authority juvenile detention system and before he went to prison for bank robbery, he worked as a performer in the adult industry. Today, Big Herc, is one of the fastest rising stars on YouTube. He spent nine years in the federal penitentiary for bank robbery, underwent a deep transformation during his time inside and came out the other side to thrive and empower others to choose a different path. He’s best known as the co-creator and host of the wildly popular YouTube series Fresh Out: Life After the Penitentiary and a number of spinoff shows including Prison Talk. He’s also a motivational speaker, author, executive coach and an entrepreneur who has started multiple businesses. If you haven’t checked out Fresh Out or Prison Talk, let me just tell you that it’s some of the rawest, deepest and most compelling content you’re ever going to watch with insights into human nature and life lessons that people from all walks of life can learn from. Big Herc’s mission is to help educate the world about the horrors of prison life and educate those headed inside so they can survive and get out alive. But most importantly, he wants to strip away the glamor associated with the criminal life on the street to help people on that path stop before they end up making the mistakes that he did. His content is amazing, his persona is magnetic and with his partners he’s expanding his empire into multiple YouTube series, the supplement business, coaching and much more. Catch Big Herc at www.freshoutseries.com, follow him on social @bigherc916 and @freshoutseries. And don’t miss the Fresh Out content that is soaring to the top on YouTube. Thanks for listening and I’ll be back with another great guest soon. In the meantime, you can reach out @hardwaypod on Twitter or Instagram or just drop an email to choosethehardway@gmail.com. You are what you overcome. Choose the Hard Way. Retired Team Six Navy SEAL, BASE jumper, wingsuit world record holder, entrepreneur and podcast host on mindset, mindfulness, McNuggets and more. Listen now on iTunes, Stitcher, Spotify & Google Play. Please subscribe and rate the show—it makes a huge difference. Creator/host of the Cleared Hot podcast Andy Stumpf discusses mindset, mindfulness, violence, patience and more. Andy spent 17 years as a Navy SEAL before being medically retired. He is a recipient of the Purple Heart and five Bronze Stars. During his time in the SEAL Teams, he screened for and joined SEAL Team Six, the most elite counterterrorism unit in the military and served as an instructor at BUD/S. Andy is a former CrossFit box owner, B.A.S.E. jumper, archer, entrepreneur, philanthropist, father, husband and in 2015 set the world record for the farthest wingsuit flight with an 18+ mile flight. I discovered Andy via Cleared Hot, which quickly became and remains one of my favorite podcasts. If you don’t already, I highly recommend subscribing. I’m grateful I had the chance to connect with Andy to talk about mindset, mindfulness, violence, dad life, McNuggets and much more. You can follow Andy on Instagram @andystumpf212, on Twitter @andystumpf77, at andystumpf.com and on his podcast website, clearedhotpodcast.com. Get his show on iTunes here and on YouTube here. Skating across America, one push at a time. Jack and two buddies skateboarded across America in 1976 using a ‘69 Firebird with a .22 rifle in the trunk as their sag vehicle and luxurious camper. It was a time before Instagram models roamed the earth and invented the sacrament of Van Life. Jack and his pals saw America in a way few characters besides those in fiction ever experienced it. Jack went on to complete four more trans-continental skates, including one on an Inboard electric skateboard in 2018 at the age of 61. Jack is a legend. And this is his story. He has lived a life rich in experiences and adventure, and has suffered great losses too. His first son died of complications from Lowe Syndrome in 2003 and he lost his father to Alzheimer’s disease. He dedicated three of his cross-country skates to raising funds and awareness for these and other causes. Jack spent his career as a professional skater at the dawn of the sport and then made his living on the business side of the skateboard industry. Today he also runs the Morro Bay Skate museum. You can follow Jack on Instagram @jack_smith_morro_bay and check out the museum at www.mbskate.com. Get this episode now on iTunes, Spotify, Stitcher and Google Play. From ice cream truck driver to pro athlete, entrepreneur and creator. The greatest American cyclocross racer of his generation shares insights about: being a pioneer, drawing your own map, failing and getting up over and over again to forge a career, start a media company, chase a dream and inspire + enable others to do the same, at scale. Jeremy Powers is an American professional cyclist who has won over 90 UCI races, four U.S. National Championships and the 2015 Pan American Championship. He has also been a relentless champion of the discipline of cyclocross and has put huge chunks of his time and money into building the sport in the United States where it is rising in popularity, but still underground for the most part. In this episode, Jeremy takes us inside the mentality it takes to win, to face failure and to get up over and over again in the face of daunting financial, professional, interpersonal and health challenges. We touch on what he did to create a career path where there wasn’t one, become a champion and start-up a media company. Jeremy has mentored and developed some of the best talent competing in the sport through teams and organizations he created including Aspire Racing and the JAM fund. In 2010, Jeremy and Sam Smith created the groundbreaking online video series ‘Behind THE Barriers.’ The series followed Jeremy as he traveled to races across the U.S. and around the world and continues today as Behind the Barriers TV. This interview took place in 2017 just before Jeremy finished second at the national championships and it’s a deep dive into the toughest moments of his career. On YouTube, you can find him at Behind the Barriers TV and you can follow Jeremy on Insta @jpows, on Twitter @jeremypowers and on his website, www.jpows.com. If you enjoy this episode, please subscribe now, share with your friends and give us a 5-star review! Get The Hard Way newsletter and never miss a new episode. Find more at www.choosethehardway.com and reach out @vontz and @hardwaypod on Twitter or send an email to choosethehardway@gmail.com. Get this episode now on iTunes, Stitcher, Spotify, & Google Play. On Christmas Eve 2007, Royal Marines Commando Mark Ormrod was on patrol in the Helmand province of Afghanistan when he triggered an IED and lost both legs and one arm. Today, Mark is an internationally acclaimed motivational speaker, a peak performance coach, an entrepreneur and the author of the award-winning autobiography, Man Down. He is grit. He is resilience. He is the model of what it means to overcome. I first met Mark when I wrote a feature about him in 2015. His story is one that has stuck with me and transformed how I think about life. If you’ve ever come up against an obstacle in your life that felt too big to overcome or felt so low you never thought you’d get up again, Mark’s story might change your mind. His story moved me in a way few things ever have, and I think it will move you, too. 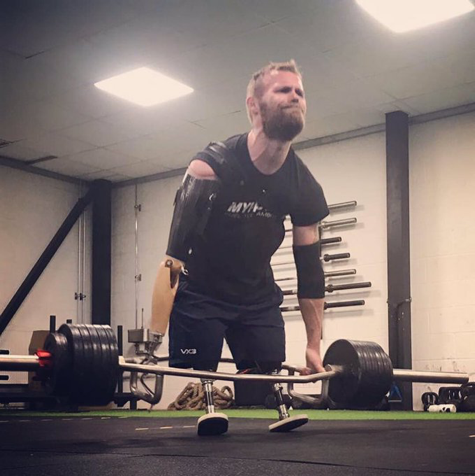 You can follow Mark on Twitter @markormrod, on Instagram @markormrod, on his YouTube channel https://www.youtube.com/user/MarkOrmrodMotivation and through his website, https://www.markormrod.com. The content & marketing mastermind shares lessons learned from a career that has included working as a journalist at the Wall Street Journal & Venture Beat; in PR at Tesla; and in content + marketing at Kiva and First Round Capital where she created the esteemed First Round Review. Camille is a powerhouse storyteller and authority on actionable insights for technology entrepreneurs. This episode is a deep dive into success, failure and overcoming obstacles to achieve escape velocity in Silicon Valley. And how to handle being asked, “What is your Mt. Everest?” while you’re in the middle of a bouldering problem at Dogpatch Boulders and thinking about where to get a burrito. This interview took place while Camille was working as the head of content and marketing at First Round Capital, a seed-stage venture firm renowned for its deep & incisive content--thanks in no small part to Camille’s work. She helped launch the First Round Review where she wrote and edited dozens and dozens of articles & long-form interviews with top founders, execs & other hitters in tech about how they build, grow, innovate, lead, learn, fail, transform and more. Previously, Camille applied her content strategy prowess at microfinance nonprofit Kiva and managed PR at Tesla Motors. Prior to that she was a reporter for VentureBeat & the Wall Street Journal. Camille has spent the last several months traveling and testing the water on new opportunities to tell great stories. We dig in on the lessons Camille learned from her work interviewing entrepreneurs, founders and execs at length and at scale during her time at First Round. Follow Camille on Twitter @camillericketts. Former Army Ranger & Writer Marty Skovlund, Jr.
Marty Skovlund, Jr. is a veteran Army Ranger who served in the 1st Battalion, 75th Ranger Regiment. Currently the executive editor of Black Rifle Coffee Company’s Coffee or Die magazine, he’s an entrepreneur, journalist, photographer, award-winning filmmaker and the author of Ranger Knowledge: The Complete Study Guide. His book Violence of Action: The Untold Stories of the 75th Ranger Regiment in the War on Terror, is a gripping, remarkable history of the GWoT told through first person accounts from Marty, other Rangers and their families and spouses. Marty is a guy who has done hard things and keeps pushing himself into new and challenging terrain, whether that’s going back to Afghanistan as a journalist to do in-depth reporting on the state of the ongoing war on terror or producing and directingdocumentaries. He’s currently working on his third book, a memoir. Follow Marty on twitter andInstagram @martyskovlundjr and on his website. If you enjoy this episode, please subscribe, share with your friends and give us a positive rating. You can find more at www.choosethehardway.com and you can get in touch @hardwaypod on Twitter or send an email to choosethehardway@gmail.com. Former professional cyclist Phil Gaimon once almost died in a bike wreck, but he never rode the Tour de France. Today, he’s one of the biggest creative forces and personalities in the sport as the author of three books, creator of The Worst Retirement Ever YouTube series and host of The Peloton Brief Podcast. Phil has started multiple businesses and overcome huge odds to succeed. A self-described fat kid growing up, during his pro career he transformed himself into one of the best cyclists in America and clawed his way onto a World Tour team, the designation for teams at the highest level of the sport. In this episode he gives insight into how he has done it, how he has survived the worst moments of his life and where he is headed next. For even more Phil, follow him on Strava here or on Twitter, @philgaimon. The North Face athlete on El Cap, Everest, anger, rock climbing, expeditions, origins and her evolution from one of the greatest competitive climbers ever to big mountain alpinist, skier and explorer. Emily Harrington has summited Everest, free climbed El Capitan in Yosemite and completed numerous first ascents of 5.14 sport routes. She has been on expeditions around the world seeking out big mountains to ski, big wall free climbs and high altitude peaks in Nepal, China, Myanmar, Crimea and Morocco. At a young age, she was one of the best sport climbers in the world. As a member of the USA Climbing Team, she competed on the national and world competitive circuit winning 5 US National Sport Climbing Championships and 2 North American Championships. But her path has not been easy. In this episode, Emily shares the doubts and fears she has felt on her journey and how she turns her frustration to her advantage as she continually pushes herself in new directions. You can follow Emily on Instagram @emilyaharrington and on her website. Special Forces qualification, startup growing pains & successes + the tools it takes to succeed in the military and business. Jason McCarthy is a combat veteran, former U.S. Army Green Beret and entrepreneur. In 2008, Jason founded GoRuck, the gear, apparel and events company that created the GoRuck Challenge--events modeled after Special Forces selection led by SOF cadre that last between a few hours and several days during which participants ruck with packs loaded with 20-40 pounds and get a small taste of what Jason calls ‘Good living.’ GoRuck gear is bomber, they have a unique, transparent approach to doing business and their community-led approach to marketing has helped propel the brand and the sport of rucking to rapid growth. But not without a few painful bumps along the way. In this episode we talk about Jason’s experience in Special Forces including selection, the hard decisions and sacrifices he has had to make to do great things and much more. Find @GoRuck on Instagram and on the web and check out the GoRuck Show podcast. 7x summiter, 1x without supplemental oxygen, on the sacrifices made to fulfill a lifelong dream. Adrian Ballinger has summited Mt. Everest seven times. He attempted Everest without supplemental oxygen in 2016 as part of the Everest No Filter expedition with national geographic photographer Cory Richards. Cory made the summit. Adrian didn’t. They went back in 2017, and Adrian achieved his goal of summiting without oxygen. It wasn’t easy. In 2011 Adrian and two Sherpa partners became the first people to summit three 8,000 meter peaks in only 3 weeks (Everest twice and Lhotse once). He’s the first person to ski Manaslu, the 8th tallest mountain in the world, from its summit, and the first American to successfully ski two 8,000-meter peaks. You can follow Adrian on Instagram @adrianballinger, through his website and if you’d like to climb with him, check out Alpenglow Expeditions. If you like this episode, please subscribe, share with your friends and give us a positive rating. You can find more at www.choosethehardway.com and you can get in touch @hardwaypod on Twitter or send an email to choosethehardway@gmail.com. He is also the founder and CEO of Alpenglow expeditions and has led expeditions where more than 100 clients have successfully summited Everest, Lhotse (the 4th tallest mountain in world), Cho Oyu (6th tallest) and Manaslu (the 8th tallest mountain in the world). He climbs, guides and skis all over the world including North and South America, the Himalayas and Africa. Adrian has been a sponsored climber since he was a teen. His current sponsors include Eddie Bauer, La Sportiva, Petzl, Kaenon, Goal Zero, Hypoxico, Alpenglow Sports and High Altitude Fitness. One of my favorite musicians is Bob Mould. And one of my favorite Bob Mould songs is Wishing Well. I’m not great at is remembering song lyrics. But a Bob Mould lyric that I do remember, is this--There’s a price you pay for a wish to come true--trade a small piece of your life. In this episode you’ll hear about what Adrian Ballinger has had to trade to be who he is and achieve what he has achieved. Anthony Weiner’s mayoral campaign head of comms/Booker+Bloomberg administration comms veteran shares her story of a crisis on the Weiner campaign. Morgan is a VP at the strategic communications firm Greenbrier and the founder of Apex Strategies. She served as a former senior aide to the NJ State Department of Education and the former administrations of Mayors Bloomberg and Booker. Barbara also headed communications for the mayoral campaign of Anthony Weiner. She plays a gripping roll in the documentary Weiner about that campaign where both he and Barbara go through their own very public crises. During the Weiner campaign, Barbara became the news when a reporter wrote a story about comments she thought she had made off the record about a former campaign intern who had published a tell-all about working on the campaign. On this episode we’ll hear about what happened, what she learned, how she grew from it and much more. As VP at SKDKnickerbocker, Barbara oversaw and managed strategic communication planning and execution for high-profile clients in finance, government, philanthropy and education such as the Commonwealth of Puerto Rico, The Rockefeller Foundation, 100 Resilient Cities, AT&T, the Harvard Graduate School of Education, Columbia University, the State University of New York (SUNY), and others. You can find Barbara on Twitter @barbarakmorgan. What secret unites the world’s top performers? + origins of the show.